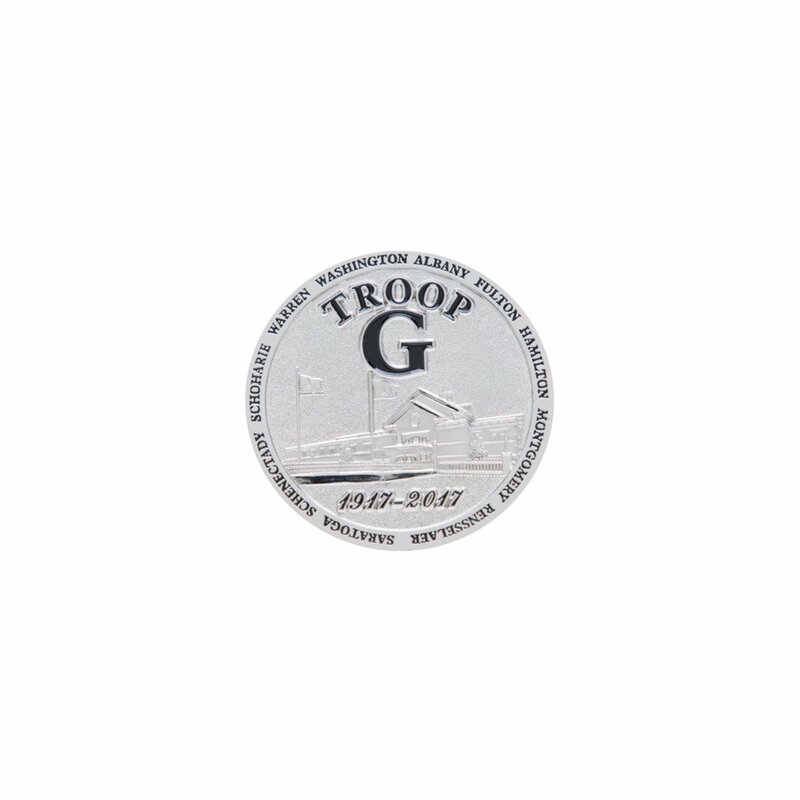 The design of this coin represents the progress within the New York State Police. Troop G is one of the original troops of the Division of State Police and as of 2012, it is the newest troop headquarters. This building has state of the art communications capabilities and uses green energy technology at the AMI.